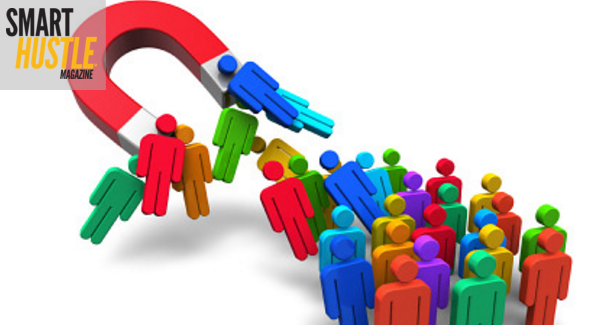 Online lead generation works wonders for small companies if it is executed strategically and methodically. All too often, small businesses jump into online marketing haphazardly and drift from one failed attempt to another. The first step in successful online marketing is to understand the big picture: this infographic, the “Internet marketing lead generation ecosystem,” provides a visualization of the entire process. While it is not necessary for a small company to cover every element of this infographic on day one, it is helpful to see how the pieces fit, and what your online marketing system could look like in the future. As you can see from the infographic, your company website is “central control” for lead generation. When visitors land on your website, they must be able to quickly find valuable content, be presented with persuasive calls to action, and have the ability to phone in an inquiry or submit a form with ease. Trained in Web design and up to speed with current best practices: there is a BIG difference between Web design and graphic design. Trained in user experience (UX) best practices: UX is the art and science of designing Web pages visitors love. Trained in conversion rate optimization (CRO) best practices: CRO is the art and science of moving visitors through a conversion funnel and persuading them to phone or submit a form inquiry. Trained in Web development: from a lead generation perspective, you will need your website to be SEO-friendly, and be able to track the source of phone and form leads. Email marketing is tried and true. It has the advantages of being fairly easy and quick to set up, is usually well received if handled correctly and targeted with a relevant mailing list, and allows for rapid strategic and tactical changes. Social media marketing is an iffy proposition. Maintaining social sites and building a community is time consuming, and it is hard to rise above the noise. Furthermore, the lead generation value of social media is questionable for many types of businesses. SEO is extremely possible because organic search traffic can produce a consistent and large flow of leads. However, SEO takes a long time to take home and requires a lot of adjustments to reach its full potential. Budget for the long term; for instance, a sensible strategy would be to spend $500 a month for the first year and double it in year two. PPC is a great option for small businesses because you can jump in right away and get visibility on Google. PPC is also a good long-term option, because with proper testing, campaigns improve in lead generation performance over time. However, not all businesses are a good fit for PPC, so while it could be a success, it could also be a dead end. 3 elements to help small #business owners nail #marketing & lead generation. With all of this in mind, testing is important in the initial stages. Rather than commit 90 percent of the budget to one thing, consider investing equally in three campaigns — and then give each six months or a year to play out. This way, you will be much more efficient in budgeting, focus and results in year two. Continual refinement of campaigns is slow, meticulous work, but it pays off. The offer. Are you giving people an offer too good to refuse? The pitch. Are you making it easy for people to say yes? Timing. When emails are delivered and when PPC ads are displayed make a difference. Content. Is your website and marketing content clear, concise, valuable, scannable and sharable? All campaigns, including SEO, will benefit if the answer is yes. Through trial and error, you will develop stronger offers that you deliver with better timing, wrapped in a colorful content ribbon. The outcome? Sales leads, and lots of them! Brad Shorr is the B2B Marketing Director for Straight North, a Chicago-based Internet marketing agency that offers businesses throughout the country SEO, PPC and web design services. With Brad’s many years of writing, his work has been featured on sites such as: Forbes, Smashing Magazine and Moz.